We’ve got a wide range sizes and styles for you to choose from depending on your specific needs, and our quality products come at competitive prices for production and shipping. These mailers have extra side flaps that tuck into the box and are perfect for shipping products. The Deluxe Outside Tuck Mailer is the most secure mailer for shipping as the flaps stay tucked in even without tape. These mailers are almost the same as the deluxe version, but have no side flaps that tuck into the box, which helps to provide more internal clearance and ease of closing. These mailers are of a simple design and the fastest to open and close. If you need a mailer that will be opened frequently, this is a good option. RSC boxes are the most common with all flaps having the same length and the two outer flaps meeting half way in the middle. The RSC layout is extremely efficient to manufacture with low waste, and useful for the widest range of applications. HSC boxes are similar to RSC, but they have one set for flaps. They are easy to load and normally have a separate cover. OPF boxes have an unbroken bottom and are great for shipping books, literature, or artwork. 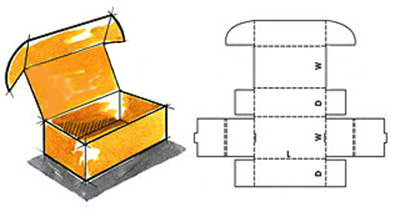 FOL boxes have flaps that fold overtop of each other to create a very strong top and bottom for tranporting heavy items. FPF boxes have a folding flap on a long end, and several layers of small flaps at either of the narrow ends that form a strong, protective layer. FPF boxes are useful to transport heavy, narrow items. 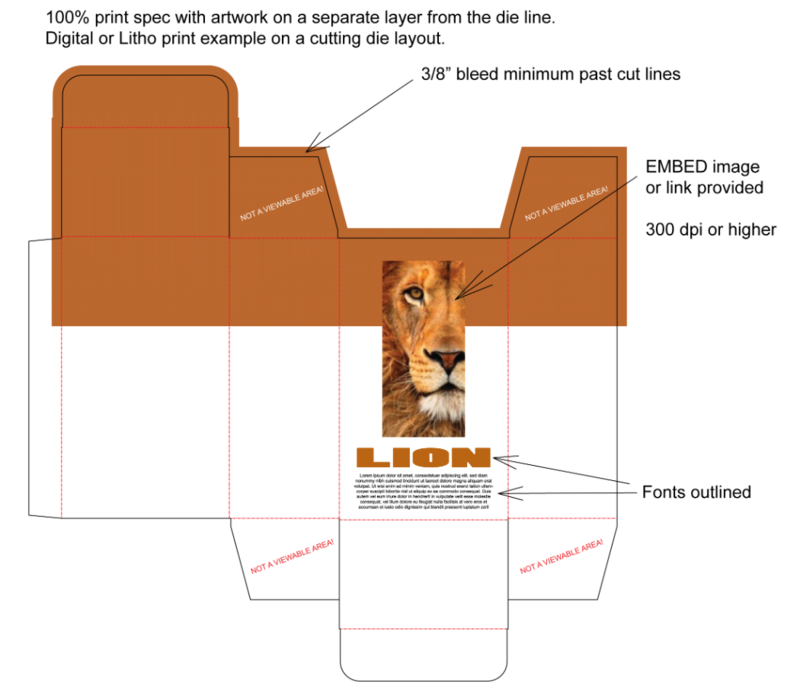 Depending on the type of box needed, you will need a different flute profile. For mailers where high print detail is required, we recommend an E flute, because the surface is very smooth. 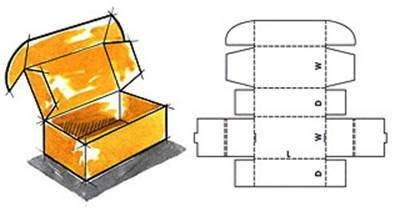 The C flute is the most common for printed boxes and is a nice mix of cushioning and good print quality. In general, the same colour will appear darker when printed on kraft compared to white corrugate, as seen below. However, black and white appear more consistently on kraft, which make them a popular choice for that material. Structural Design of the box must be 100% approved before the structural line drawing will be released for artwork application to either sales rep or customer. 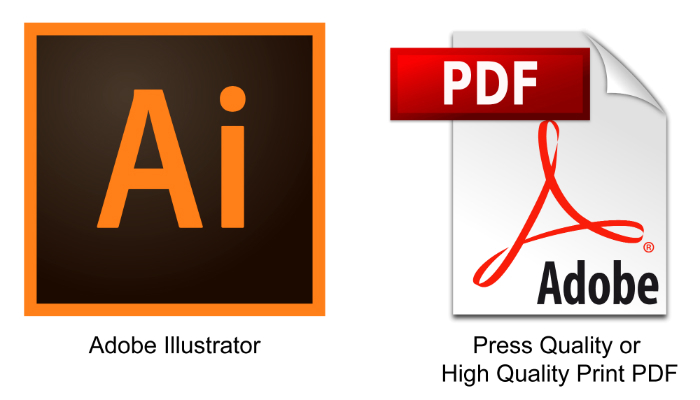 Native vector files in .eps, .ai, or .pdf format. 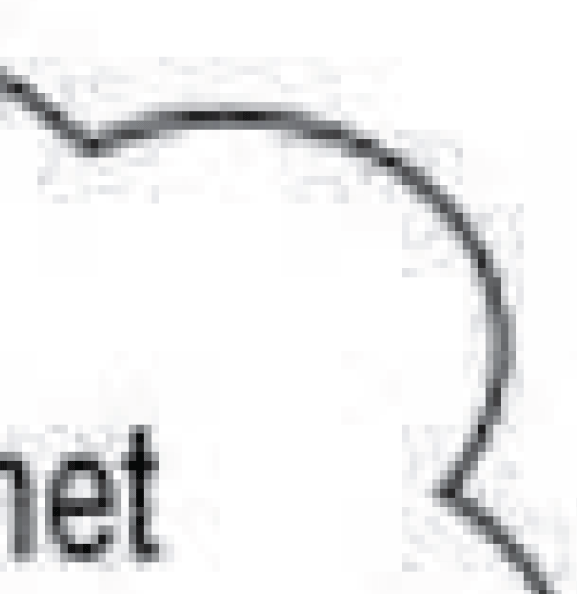 Vector files are the PREFERRED FILE FORMAT. 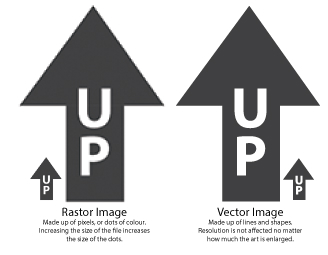 Importing an image into Illustrator does not make it a VECTOR; it must be originally created in a vector base application. All files are required to be 100% on a 1:1 scale to the die line. 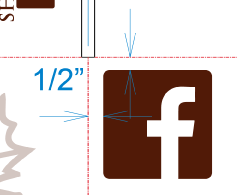 Keep files layered; have artwork on a separate layer from the die line so adjustments can be made if needed. EMBED all images, or provide the linked images. BLEED art and images a minimum of 3/8" past the die cut edge. Seek assistance if you are not sure what the "safe veiwable areas" of the box are. Convert all fonts to OUTLINES to prevent font errors and have your file print ready. 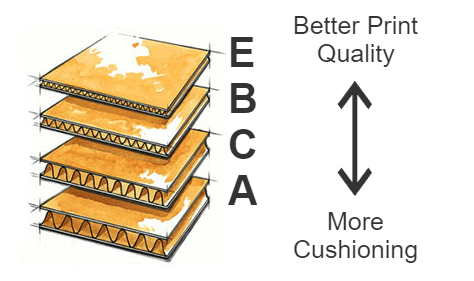 All ARTWORK must be kept 1/2'' AWAY from all cuts and scores on slotted cartons. Steel die cut boxes can have print over scores and cuts and a minimum of 3/8" bleed past the die cut edge. 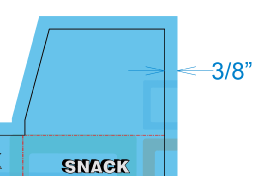 Rastor files are not acceptable for making flexo print plates. Keep text and images bold and as large as possible: type must be 6 pt or larger. Lines must be 2 pt or thicker. Artwork containing complex shading, gradients and other effects are not recommended. Keep images solid colour for best results. 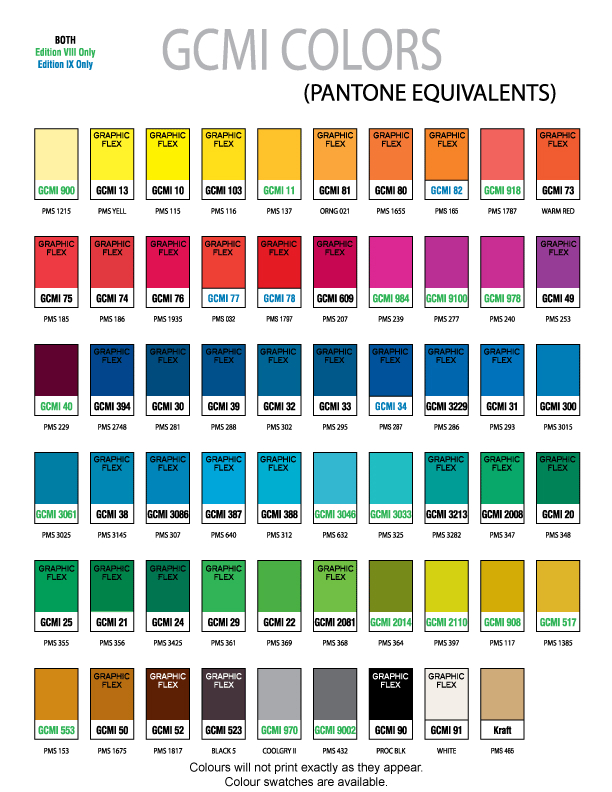 If a colour is required other than black, a colour number must be provided: Pantone (PMS) or GCMI. GCMI COLOURS are standard in the corrugate industry and preferred by Whitebird. Colour can depend on the board colour to which the ink is being applied. Board colour (Kraft,White/Oyster, other) must be specified. If colour matching is required, a physical swatch may be required as colours cannot be matched based on how they appear on computer monitors, please ask assistance from a Whitebird representative. Ready to get started with your custom box? Simply fill out the Custom Corrugate Quote form below and a sales rep will reach out to you quickly.